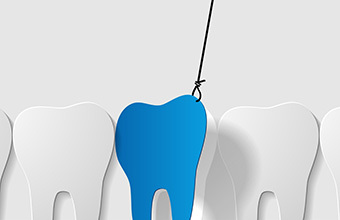 Dr. Khetani is very skilled at saving teeth and does so whenever possible. However, sometimes a tooth is too damaged or decayed to be salvaged. In this case, an extraction is necessary to prevent infections and painful swelling. 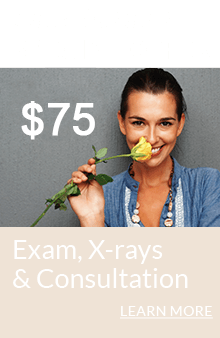 Dr. Khetani ensures your comfort at all times and performs extractions in a gentle manner. To prepare you for the extraction, she administers anesthetic in a way that causes little to no sensation, and she makes sure you are thoroughly numb before starting the procedure. After a tooth is lost, bone loss occurs in the jaw where the tooth is missing and creates a sunken area on your arch. 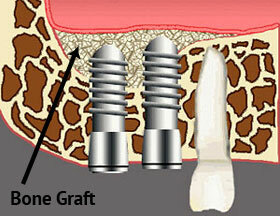 This can create difficulties if you want to replace the tooth in the future with a bridge or dental implant. A sunken arch usually has inadequate bone to support a dental implant. The gap that is created can also act as a food trap under a dental bridge and breed bacteria and infection. Immediately following an extraction, Dr. Khetani can fill the empty tooth socket with bone graft material which will stimulate regeneration of new bone tissue. The new bone will preserve the height and thickness of your arch where the tooth is missing, and will prepare the site for an immediate or future bridge or dental implant.